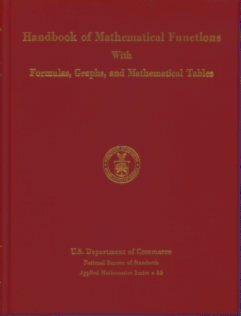 “Abramowitz and Stegun is the informal name of a mathematical reference work edited by Milton Abramowitz and Irene Stegun of the U.S. National Bureau of Standards (now the National Institute of Standards and Technology). 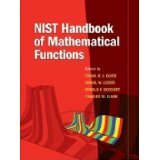 Its full title is Handbook of Mathematical Functions with Formulas, Graphs, and Mathematical Tables. While document analysis is a rich and varied field of research, only a relatively small part of that field has been devoted to the analysis of scientific documents containing mathematics and technical diagrams. One of the problems that researchers in this sub-area are faced with is the lack of shared datasets that can be used both as test resources and for comparison of algorithms and systems. This project is to develop an open, freely shareable set of resources to cover all stages and intermediate result datasets in a toolchain for document analysis of scientific documents based on a high quality scan of Abramowitz and Stegun. As mentioned above, Abramowitz and Stegun was published by the United States Government Printing Office and is copyright free. My intention was to release my scans and various processed results as copyright free too, but have since discovered via legal advice that the act of producing the scans has created a copyright on them that can not be simply ignored. The end result is that my previous statements to that effect on this website left potential users uncertain about the legal status of the scans and were a barrier to their free use. Therefore I release all images, data sets, data files and materials on this project web site with the Creative Commons, Attribution 3.0 Unported license (CC BY 3.0). A Resource for Scientific Document Analysis: Abramowitz and Stegun by Alan P. Sexton is licensed under a Creative Commons Attribution 3.0 Unported License. A different scanned copy of Abramowitz and Stegun is available from the very nice site: http://people.math.sfu.ca/~cbm/aands/. In particular, this site includes a html interface to the book as well as a downloadable pdf. For document analysis purposes, the JPG format images are less suitable than tiff and there are a few pages missing from their scan. Thanks to Bruce Miller of the National Institute of Standards and Technology, who sent me a clean new copy of the book for scanning. Thanks to Bruno Voisin, of the Laboratory of Geophysical and Industrial Flows (LEGI), Grenoble, France, who graciously gave me a copy of his code to create PDF bookmarks for Abramowitz and Stegun as a basis for the bookmarks in the PDFs on this page. Scanning was carried out on an inexpensive Epson 3170 Photo scanner using XSane under Ubuntu Linux to obtain initial PNM files. If you use these images in your research on document analysis or mathematical knowledge management, please let me know so that I can add links to your project on this page and can keep you informed of any updates or changes. If you would like to provide further data on these pages, e.g. optical character recognition results, MathML output from formula recognition tools etc., please let me know so that I can add them to this page. For further work in this area, see the Scientific Document Analysis Group web pages.